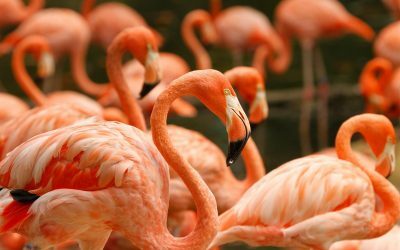 Flamingos or flamingoes are a type of wading bird in the genus Phoenicopterus (from Greek: φοινικόπτερος, meaning “purple wing”), the only genus in the family Phoenicopteridae. 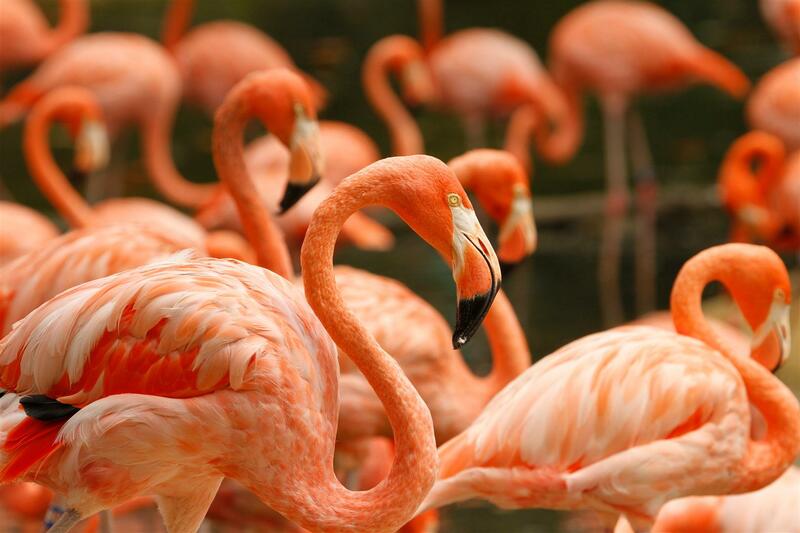 There are four flamingo species in the Americas and two species in the Old World. (Wikipedia). Click Images below.